April Classes! 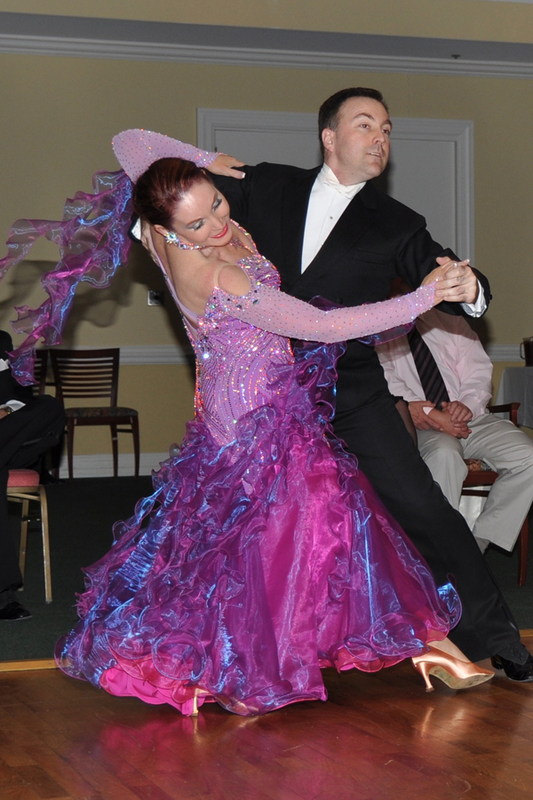 | The leader in Ballroom dancing! April Classes! – The leader in Ballroom dancing! We have lots of new classes starting in April. It’s a perfect way to start off Spring! Please let me know if you are planning on taking a class. We always need a certain amount of students to hold a class. Also, the web site is “under construction”. The important information is there. I will have things looking better soon. Finally, check out the “Partner Search” page. There are lots of dancers looking for partners out there. Please let me know if you want to post an ad. Don’t be shy. NEW BEGINNER I CLASS! – This is the class that gets you started in learning to dance! Class starts Wednesday, April 11th @ 7:00pm. Classes are 8 weeks – $80pp. Location: Boulder Creek Ballroom. $10 deposit to hold your spot is required. Learn the Foxtrot, Merengue, Hustle, and Cha Cha Cha! Dress comfortably. No street shoes! Only dance shoes or socks please! NEW BEGINNER II CLASS! – This class continues where Beginner I leaves off. We build more dances for you to learn. Class starts Wednesday, April 11th @ 8:00pm. Classes are 8 weeks – $80pp. Location: Boulder Creek Ballroom. $10 deposit to hold your spot is required. Learn the Waltz, Tango, Rumba, and Swing! Dress comfortably. No street shoes! Only dance shoes or socks please! NEW INTERMEDIATE CLASS! – Starts Thursday, April 12th at 8:00pm. (Beginner I and Beginner II prerequisite.) We cover Samba, Rumba, Waltz and Foxtrot. Location: Boulder Creek Ballroom. 8 weeks, $80 per person. $10 deposit required to hold your dance spot. Call Susie at 585-503-7087 or email Susiebballroom@gmail.com. ADVANCED VARIATIONS – Tuesday, April 10th @7:00pm – Fun class! Lots of people take this class over and over because it is always different. Teacher’s approval to join class. Must have good foundation in Beginner I and II and Intermediate. Class votes on dances each time. Great for building sequences. 8 weeks, $80pp. Boulder Creek Ballroom. BRONZE INT’L QUICKSTEP CLASS! 4 week class starting Sunday, April 15th @ 2:00pm. Only $44pp. Learn the Bronze Syllabus and improve on your technique. It’s a fun dance routine! You should have the foundations (BI and BII). Location: Boulder Creek Ballroom. $10 deposit to hold your spot is required. NO street shoes please! Dance shoes or socks only. BRONZE INTERNATIONAL RUMBA CLASS! A 5 week class, one hour each week starting Sunday, April 15th @ 3:00. Only $55 per person. Location is Boulder Creek Ballroom. Please send in $10 deposit to hold your spot in the class. BOOTCAMP BALLROOM DANCING CLASS – Designed for the busy person not being able to make an 8 week class. Please call if you are interested in taking this and I will add your name to the list. – TBA! Saturdays for 3 hours. Learn Foxtrot, Swing and Cha Cha Cha. Only $60 per person. Must register ahead of time. Location: Boulder Creek Ballroom. Watch for our “Hot Days of Summer” Showcase Party! Date to be announced soon! You can be the next star! Talk to Susie about what it takes to perform. It is a lot of fun! Hi Susie, Molly will take your Quickstep and Rhumba classes. That is so great! She is going to have so much fun!